This is Our Land Yacht, she’s our dream home! Wes and I have been living the van life for over 3 years now. The first van we built out was a 2006 Dodge Sprinter that we lived in for 2 years while we finished college; avoiding rent payments and living a simple, mobile lifestyle. After we graduated we sold our van and upgraded to Bella a 2016 4x4 MB 170” wheelbase Sprinter. She is everything we dreamed of and was so exciting to build her out as our dream home. With Bella being our second build we were able to use what we learned from our first build and apply it. We knew exactly what we wanted: a shower, a pull out bed, a big kitchen, a walk-able solar roof deck, gear storage etc. It took us about 3 weeks to figure out our design. It was the middle of the summer in Portland. We roughed it out and slept in Bella as a cargo shell, we put our backpacker pads on the metal floor and slept in it with no windows and no insulation and no ventilation in mid summer Portland heat. We took Bella out on the weekends as it it was the only time we could at the time because of our corporate jobs. Everyday we woke up in the van, we’d drink our cups and think hard about where our kitchen would go, bed, shower/wet closet etc. We would tape out rough dimensions on the floor and try to visualize how the living space would feel. After a few weeks, our design became clear. We built out Bella in 4 months complete with some pretty amazing systems: the Tiny Watts Solar custom 1000 Watt walkable solar roof deck, thanks to our friend Troy Holland (@vanlifetech) we have a radiant heated floor kit that includes in addition to cozy toes, 2.5 gallons of on demand hot water and auxiliary air heater if needed (we never need it, the floor is warm ; ) ) The system sources all the heat from our on board diesel tank and therefore our van is a one fuel rig with all electric appliances. The heating system is very electrically efficient, to be able to heat a van and have hot water at the tap for less than 100 Watts is quite incredible. We also have a hot recirculating shower that uses only 1.5 gallons of water per shower in which it allows you to take a hot shower indefinitely as it recycles the water and cleans it as you’re showering. With Troys genius inventions we can save water and stay cozy and comfortable in our tiny home! Go check out @vanlifetech and let Troy know we sent you! 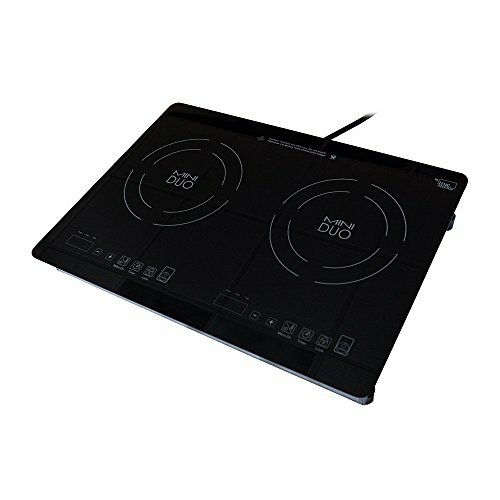 We absolutely love our induction cooktop its easy to clean, portable, cooks food fast, and most importantly there is no dirty off gas and heat. The mini duo has changed our cooking lives! 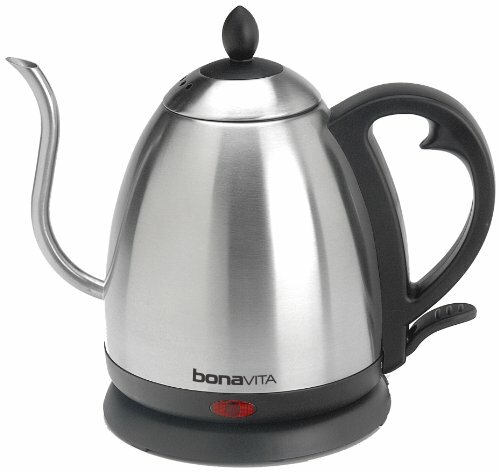 The electrical kettle is a huge game changer we don’t have to wait 15 minutes for hot water, with this baby we can get our coffee on the table in 5 minutes! 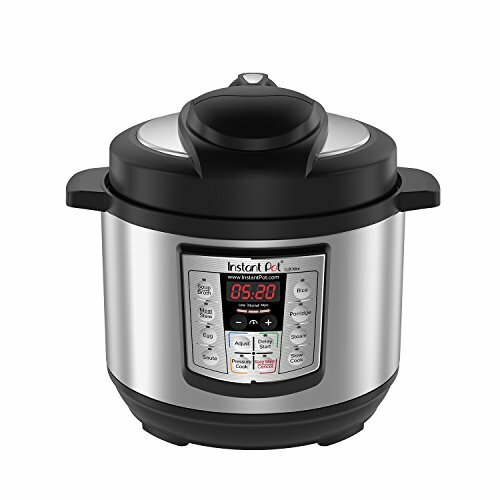 The Instant Pot is the best purchase EVER! quick and easy meal in minutes. Wes and I can have our hot soft sweet potatoes in 10 minutes, our rice under 6 minutes! You can cook anything from yogurt to hot chicken noodle soup. This is the PERFECT purchase for the van life! The classic convection oven is something we use every morning, we make our avocado egg sandwiches and always need to have our bread toasted. 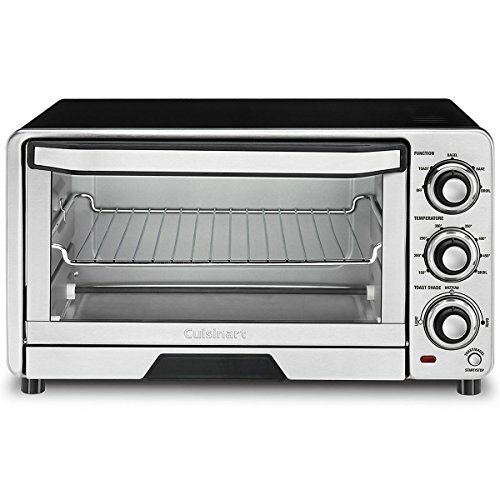 Its perfect for baking a small pizza, bagels, grilled cheese sandwiches etc. The thing about the oven is you need to make sure it has a vent because it does get hot and it can steam. What we usually do is pull it out of our drawer and set it on our counter. No regrets on this purchase, we love this little oven! 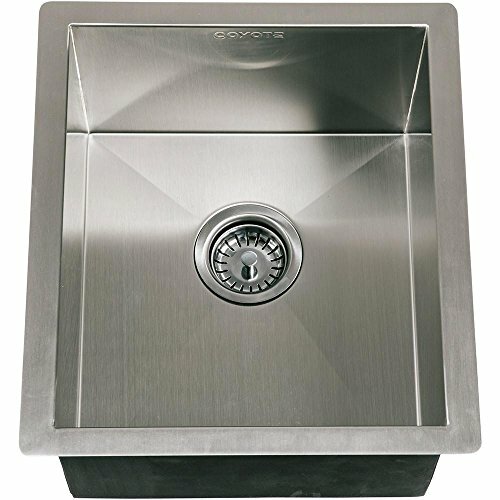 The Coyote drop in stainless steel sink is super easy to clean and has plenty of space to wash your dishes for two people. 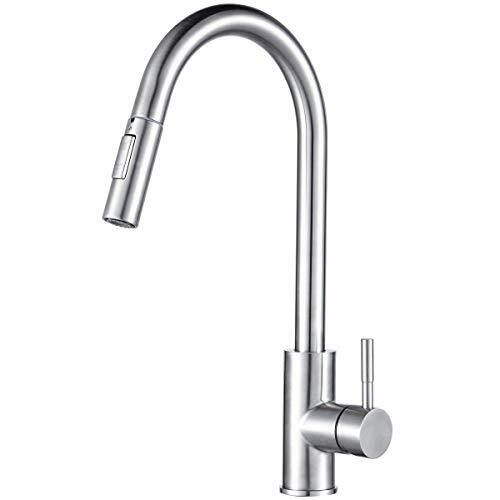 If your looking for a faucet for you sink we highly recommend getting one with a pull down sprayer. Its so much easier to clean your kitchen and sink in a tiny space! You and your dishes will be happy. This is the best fridge ever! why? 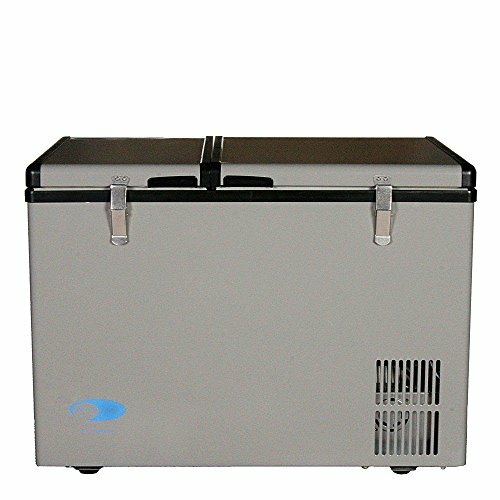 its 12 volt, portable, durable/heavy duty and it has a fridge and a freezer. We can individually control the temperature in either department and it only uses ~ 30 Ah in a 24 hour period. Energy efficiency, nothing falls out of it, our magnets stick to it and we wouldn’t change it for any other refrigerator. They also make a larger model, 92QT. Might be the right one for you if you desire more storage capacity. Copyright ©2019 Tiny Watts Solar LLC All Rights Reserved.